The book (ISBN 978-3-8007-3275-3) is available as 2nd edition and comprises 380 pages. 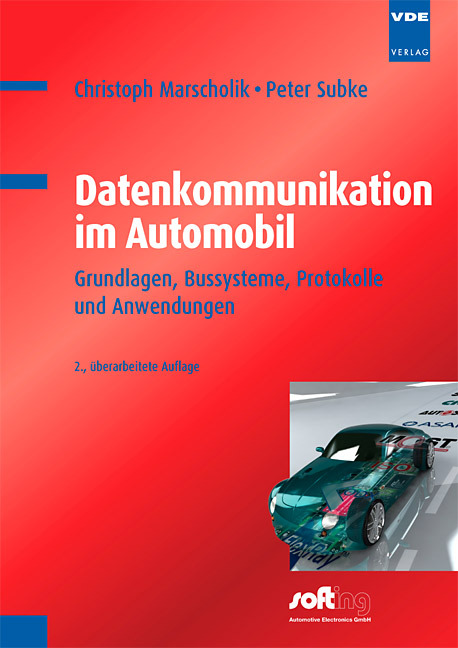 It describes network systems and data communication in road vehicles. The authors also give an overview of all relevant bus systems (e.g. CAN, LIN, Flexray and MOST) and the higher-layer protocols for diagnostic services (e.g. UDS). The paperback book discusses in detail the use of software tools based on the ASAM specifications. It also covers the ODX (open diagnostics data exchange) format in minute detail. The data flow diagrams simplify the understanding of the quite complex protocols, but readers do not particularly benefit from the product photos. Multiple praxis examples visualize the described themes. These cover developments tools and communication tests via different systems.